IMCDb.org: 1971 Vanden Plas Princess 1300 MkIII [ADO16] in "James May's Cars of the People, 2014-2016"
Are we talking about the black Rover, assuming that's what it is? 71+ Vanden Plas 1300. Not sold there in period, but very popular modern import to J by retro-fans - they've stripped UK. 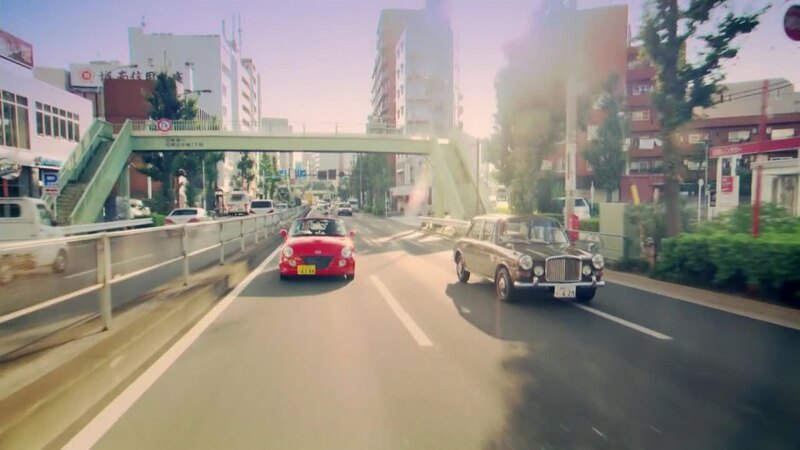 And it's the inspiration for Mitsuoka's "lookalikes".